Angel Antonio Reynoso Nivar is 8 years old and in the Fourth Grade at the public school in La Represa. He lives with his grandparents, mother, uncle, and one older brother. They also have dogs, cats, rabbits, turkeys, and ducks. Angel likes to help with household chores, especially taking care of the rabbits. In his free time, he enjoys riding bicycles. 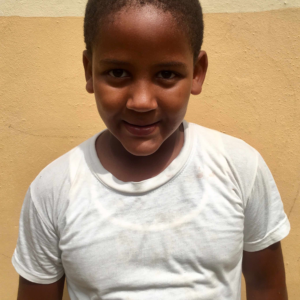 He is also part of the baseball ministry and wants to be a baseball player when he grows up.